A soft touch: Compact Powder reduces shine and offers an even, flawless complexion. The formulation combines mineral pigments with nourishing ingredients such as anthyllis and silk powder to leave the skin feeling velvety soft and silky smooth. I have been using it for several years and find it very easy and effective. I am fair skinned and bought the lightest shade but it’s still too dark. The previous powder compact lightest color was perfect. 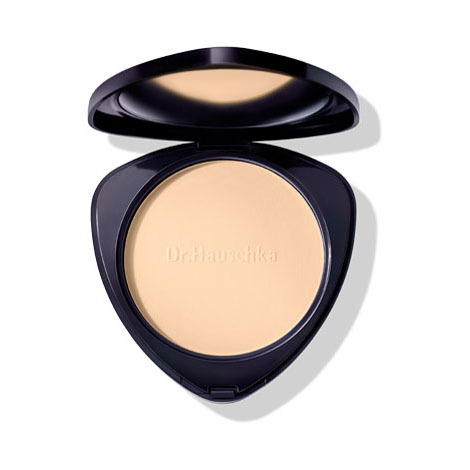 The Hauschka Compact Powder provides a subtle matte finish to the face and still allows the natural colouring to radiate through, without making the skin feel or look cakey. As the product description promises – leaves the skin feeling velvety soft and silky smooth – the product delivers the effect indeed. 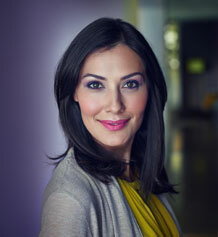 I wear over liquid foundation for all day coverage and smooth soft feeling face. I recommend this product to anyone who prefers powder makeup. It goes on smoothly and absorbs into the skin. It seemed to sit atop the skin and not accumulate into laugh lines as sometimes happens with powder. I usually apply Melissa or Quince Day Creams before powder. I have never found a compact powder before that I like so much that I would buy it again. This product covers the parts of your face that need a little extra attention nicely without being to powdery, although next time I will go one shade darker. It's great for on the go when you need a little touch up without a mess. I highly recommend this compact powder. It works and I like it! I like the triangular design of the compact. Coverage is light which I like for touch ups on the go. The downside for me is the round plastic film between the powder puff and the powder clings mightily to the powder. It was a struggle to take it off whenever I needed to use it. I finally folded it into quarters which makes taking it off a breeze now. The original translucent pressed powder had better coverage. I could use it in place of foundation. This new formulation is ok, but I miss the original. I already loved the previous version of this powder and now love it even more, the 01 macadamia color blends perfectly with my skin no matter if it's winter or summer. Talc, Mica, Silk (Serica) Powder, Diatomaceous Earth (Solum Diatomeae), Magnesium Stearate, Caprylic/Capric Triglyceride, Anthyllis Vulneraria Extract, Hamamelis Virginiana (Witch Hazel) Bark/Leaf Extract, Silica, Camellia Sinensis Leaf Extract, Fragrance (Parfum)*, Limonene*, Citronellol*, Linalool*, Geraniol*, Benzyl Benzoate*, Benzyl Salicylate*, Farnesol*, Citral*, Coumarin*, Eugenol*, Iron Oxides (CI 77491, CI 77492, CI 77499), Titanium Dioxide (CI 77891).